Democratic Attorney General Andy Beshear at the Fancy Farm Picnic in Graves Co., Ky. in August. Kentucky's Democratic attorney general launched his 2019 campaign for governor last month. Thursday, the Senate Republican Caucus announced a state-funded review of the Attorney General's office. Republican Sen. Danny Carroll insisted those two things are not related. 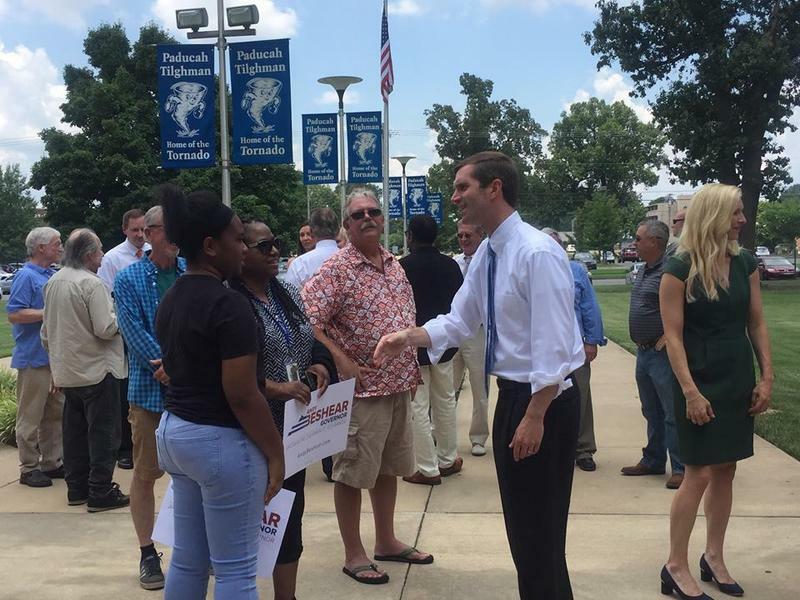 But the final report on Andy Beshear's office is due next summer in the middle of what is expected to be a heated campaign as Republican Gov. Matt Bevin is eligible for re-election. The review is part of the Program Review and Investigations Committee, a legislative panel with power to investigate state agencies. The committee typically conducts four studies each year, with topics selected by the Republican and Democratic caucuses of the state House and Senate. The committee has the power to subpoena testimony and records if necessary. Thursday, the Senate Republican Caucus announced it would review the contracting procedures in Beshear's office to "make sure there is no undue influence." Democratic state Rep. Arnold Simpson asked Carroll to extend the study to include all constitutional offices. Carroll refused. In June, former lobbyist James Sullivan was convicted of attempting to bribe Beshear's former top deputy Tim Longmeyer to win contracts for some private law firms. Longmeyer is in prison, and Sullivan is scheduled to be sentenced later this year. Federal authorities have said Beshear had no knowledge of the bribes and said the attorney general's office has cooperated with the investigation. 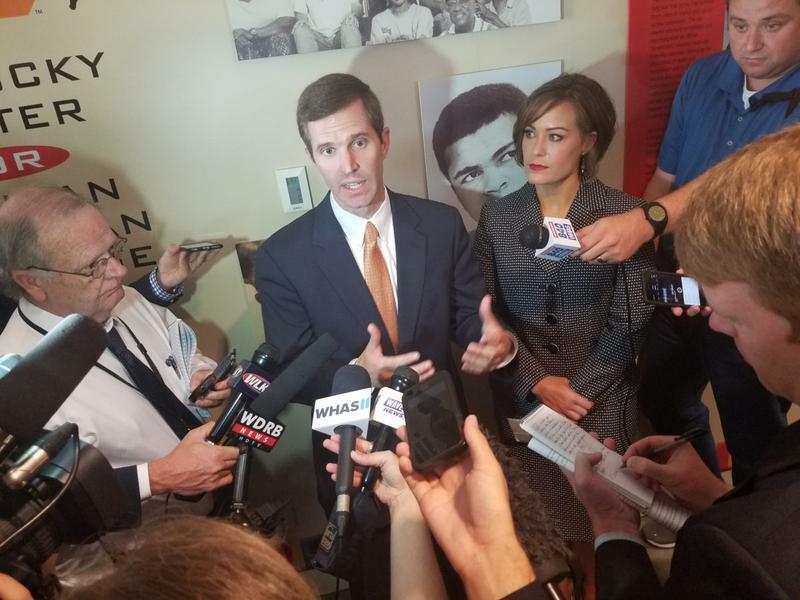 Last year, Beshear awarded a contract to four private law firms to help him sue pharmaceutical companies in reaction to the state's opioid epidemic. The Bevin administration tried to block the contract, but a state judge ruled he couldn't. Beshear has since filed seven opioid-related lawsuits. "The attorney general, he should have nothing to hide and he should support this," Carroll said. Asked about the timing of the report coinciding with the race for governor, Carroll said: "We have a job to do in this committee, and it's relevant." Beshear said his office has "been a champion for transparency." He noted the attorney general's website allows anyone to view contracts awarded by the office and includes instructions on how to get copies of the contracts through the state's open records law. Beshear said the review is just a continuation of Bevin's efforts to stop his lawsuits against pharmaceutical companies, saying "Gov. Bevin and his allies continue to put politics before saving lives." "It's truly sad that Senate Republicans are taking their cues from Gov. Bevin and not the people of Kentucky who support my efforts to hold drug manufacturers accountable," he said. 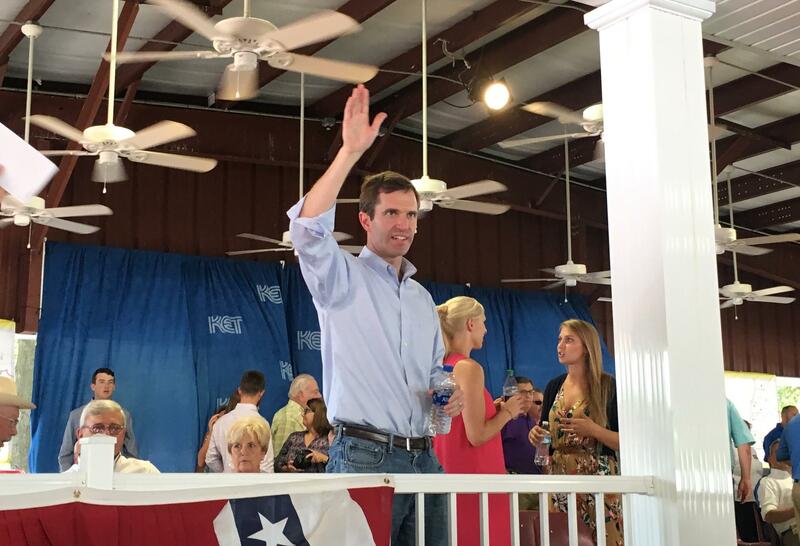 Beshear and Carroll have clashed previously over Beshear's role in the state's 2015 settlement with Purdue Pharma, the manufacturer of Oxycontin. That lawsuit was settled in December 2015, a few days before Beshear took office. But Beshear then awarded a retroactive contract to a Louisville law firm to receive a portion of the settlement. That law firm later hired outgoing Attorney General Jack Conway. Beshear said the law firm worked on the settlement during the Conway administration but mistakenly did not get a contract from the state. He said the Bevin administration instructed him to issue a new contract rather than extend a previous one. Bevin officials have sued the law firm to recoup the money. The lawsuit is pending.